The Governing Council has directed that the University should revert to its original name, as specified in the enabling laws that established the University. 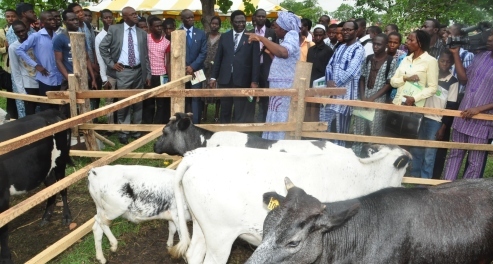 Consequently, the Institution will now be known and be referred to as the Federal University of Agriculture, Abeokuta (FUNAAB), and no longer University of Agriculture, Abeokuta (UNAAB). The development was contained in the “Decision Extracts of the 68th Statutory Meeting of the Governing Council, signed by the Acting Registrar and Secretary to Council, Mrs. Christiana Kuforiji. Council received a report for validation in FP7 Database, from the Validation Services of Research Executive Agency (REA) on the observation that, the enabling laws of the University forwarded to them referred to: the Federal University of Agriculture, Abeokuta, where as previous correspondence had been with reference to, “University of Agriculture, Abeokuta”. “Council was informed that the University was bidding for a Research Grant that required the submission of the Act establishing the University and also the Audited Accounts of the University where the prospective donor or funding agent discovered the different names”. Based on the observations aforementioned, among others, the Council therefore directed that “though, “Federal appears to be intentional, it should be well construed, possibly by ensuring that the University is properly so called, especially in formal documents”. The Council therefore, “directed that the University should bear its legal name, which is the Federal University of Agriculture, Abeokuta”.